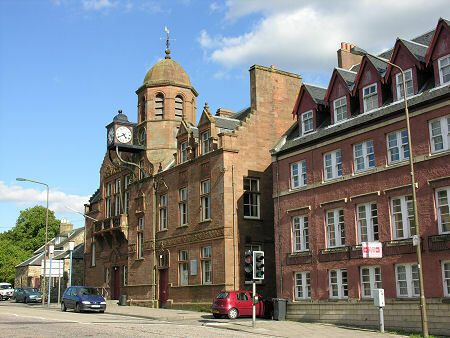 Sheltering beneath the south eastern slopes of the Pentland Hills about nine miles south of Edinburgh is Penicuik. The town lies along the northern bank of the steep-sided River North Esk and is very probably extremely ancient: the name comes from the old Brythonic language for Hill of the Cuckoo. 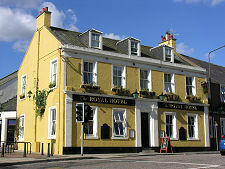 The main A702 from Edinburgh to Biggar and the M74 lies a little closer to the base of the Pentlands, so Penicuik tends to be by-passed by long distance traffic whose destinations are elsewhere. For first time visitors the layout of the town can be a little confusing. There's a natural assumption that a town centre will be roughly in its middle. 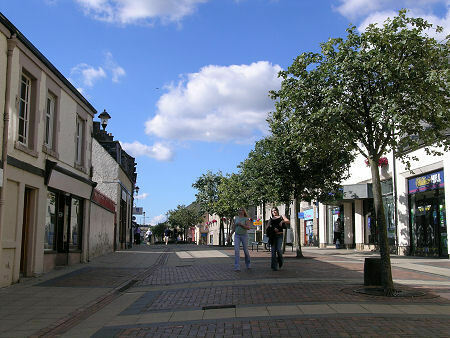 Penicuik's town centre, on the other hand, lies at the extreme southern end of a built up area that now stretches some two miles back towards Edinburgh. There are two reasons for this. The first is that much of the town's recent growth has been because of its proximity to Edinburgh: and if you are developing housing for people who want to commute to Edinburgh, then building it on the Edinburgh side of the town makes a lot of sense. 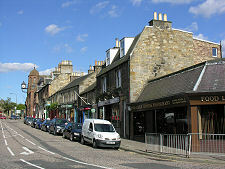 As a result Penicuik has tended to grow back along the A701 towards the capital. The second reason for Penicuik's one sided growth is the existence of Penicuik House, which from the mid 1700s stood in a large expanse of parkland south west of the town. 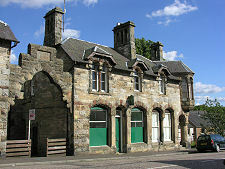 The laird, Sir James Clerk of Penicuik, expanded Penicuik as a planned village in 1770. Thereafter the presence of Penicuik House combined with the strong boundary presented by the river this helped push most of Penicuik's development to the north. 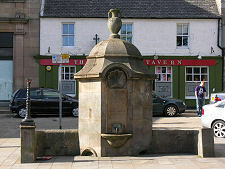 An indication of the very early origins of Penicuik can be seen on the edge of the town centre close to the river. 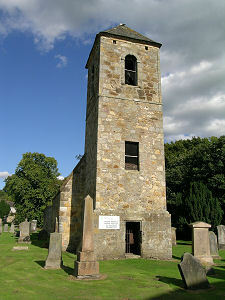 Here the parish church built in 1771 as part of the planned expansion contains within its churchyard the tower and ivy covered ruins of its predecessor, St Kentigern's Church. 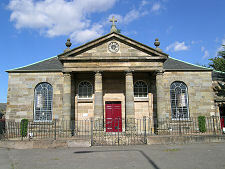 This church probably dates back to the 1600s, but stands on or near the site of an earlier St Kentigern's church which is thought to date back to the 1100s. The river flowing swiftly through Penicuik had long proved its worth as a power source for corn and other mills, but from 1708 the Valleyfield paper mill was built here, the first of several paper mills built along this stretch of the river. And by the end of the 1700s a water powered cotton mill was also in operation, employing 500 people. By the beginning of the 1800s coal mining was under way in the area, and the cotton mill had been converted to another paper mill. In 1815 the Cowan family took over one of the paper mills (with others at the time being used to house French prisoners of war), rapidly bringing about significant social change. They introduced schooling for workers' children, and built housing for single female employees. 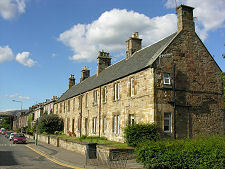 Some of this housing still stands: see image of Park End, left.